Earlier this week a much-expected product came to make the life of an architectural visualization artist investing in virtual reality more comfortable. The Oculus Go will enable anyone to have a high-quality immersive experience in VR without the need for a smartphone or expensive hardware. That is one of the causes for artists to not fully embrace virtual reality as a media to present their projects. If you want to go with the maximum quality, you need a powerful computer to show the project. Going with a cheaper solution using a smartphone will compromise image quality. Using a device like the Oculus Go will give you a combination of power and mobility, allied with a much more affordable cost. The Oculus Go can deliver a resolution of 2560 x 1440 pixels for each eye. An incredible amount of pixels for a standalone headset. What other options related to standalone VR headsets we have on the market? If you have plans to work with VR development for architecture, or are among the students of our course about VR architecture with WebVR we found an alternative. 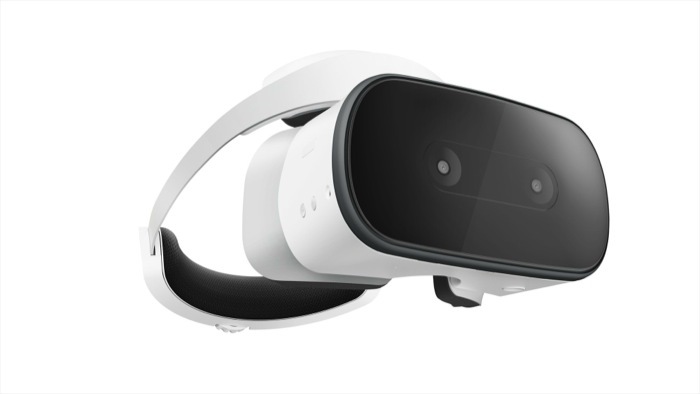 The Lenovo Mirage will give you the same amount of pixels for each eye than an Oculus Go. One of the advantages for the Mirage is the expanded storage using MicroSD cards. With the Oculus Go, you get 32 or 64GB of internal storage. Are there any other options? Sure, if you run a search for standalone VR headsets, you will find a lot of alternatives. But, they all fall with similar downsides. Like not give support for WebVR or Android Apps. Even with some of them running Android in the background.